Traveling to Budapest is a dream for many people, and it’s a place that tops many people’s travel lists. If it isn’t on the top of your’s, put it there! 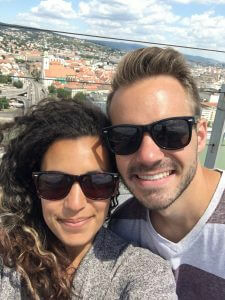 Hungary was the first country we visited in eastern Europe, and it was one of our favorites. Budapest is one of the most beautiful cities in Europe and is rich in history, architecture, and culture. The food in Budapest is outstanding, and the nightlife is great. Everything you could possibly want on a trip to Europe is in Budapest. 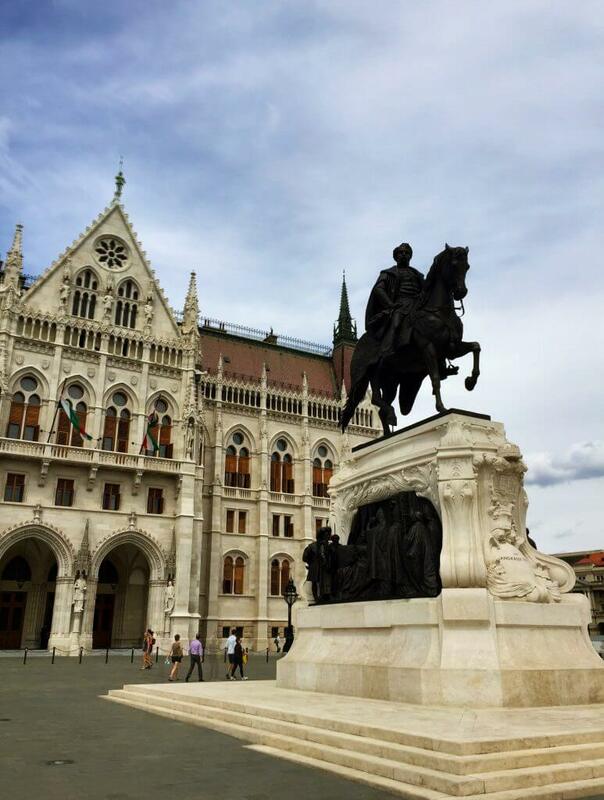 Plus, traveling to Budapest is a lot cheaper than western Europe! If you didn’t already know, Buda and Pest were actually separate cities divided by the Danube River. Nowadays, they’re one city but are still divided by the river. The Danube is a pretty wide river, and both sides are connected by a few bridges. 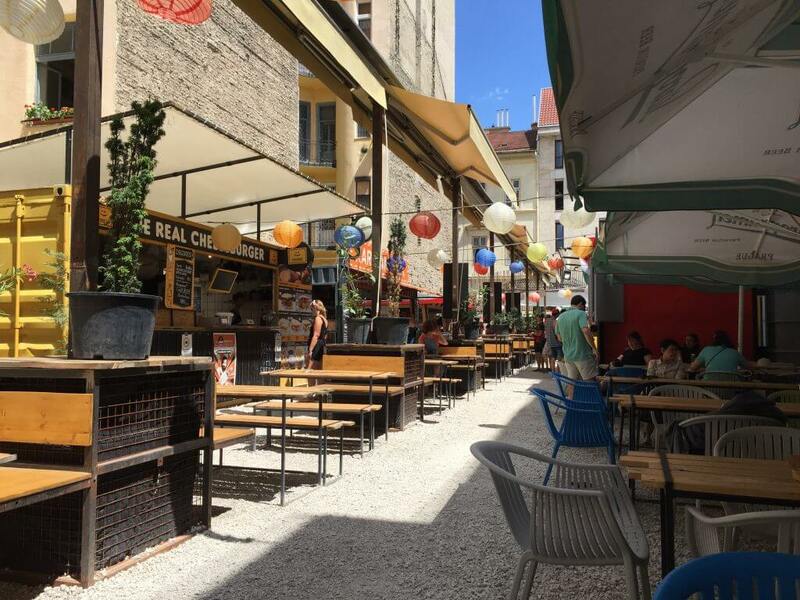 We recommend staying on the Pest (east) side of the river because there’s more to do, even though you’ll probably wind up spending some time on the Buda side of the river too. When we were here we actually stayed in 3 different spots: 1 hostel and 2 Airbnbs. This is because of how we were traveling. 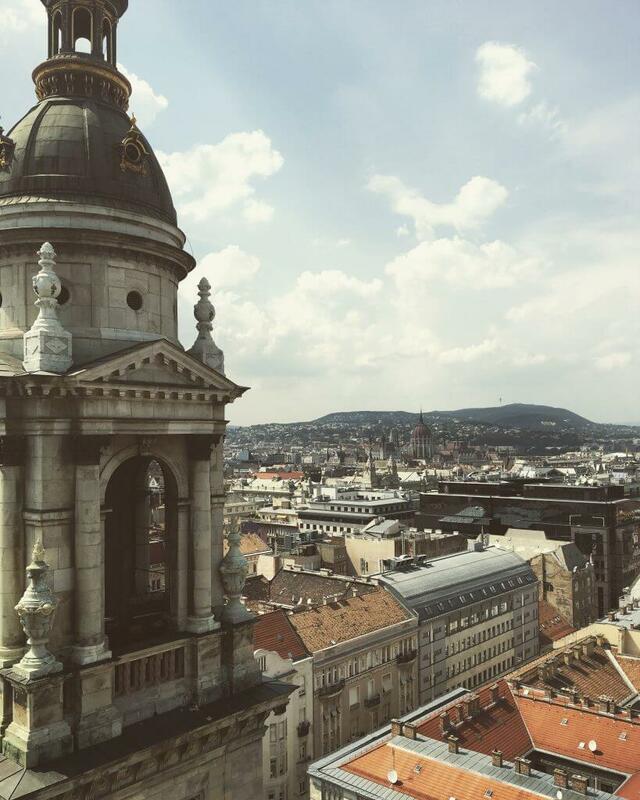 Becca was with a friend in Budapest staying at an Airbnb, and Mike came later and stayed at a hostel. Budapest is a pretty cheap city compared to almost all of western Europe. However, it is more expensive than lesser traveled parts of eastern Europe, like Bosnia and Herzegovina. 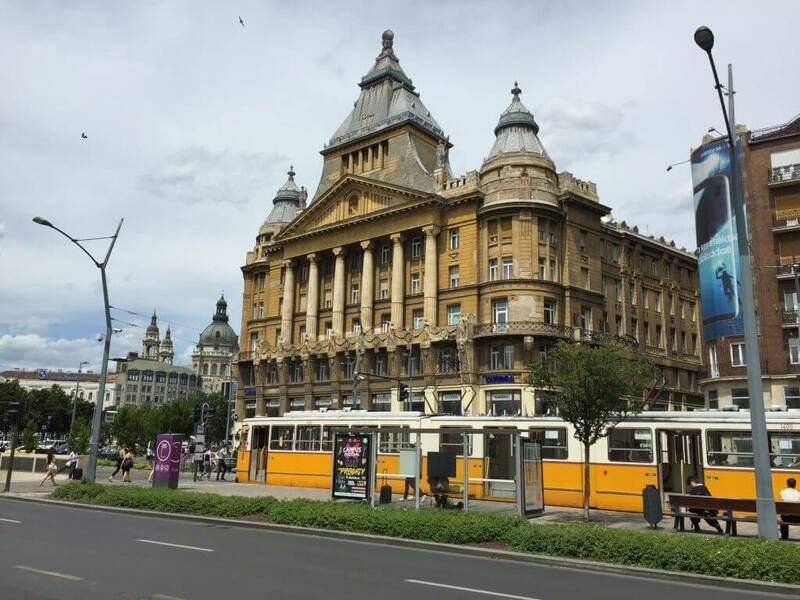 Finding a place to stay for a reasonable cost in Budapest won’t be a problem. There are tons of Airbnbs and hostels. 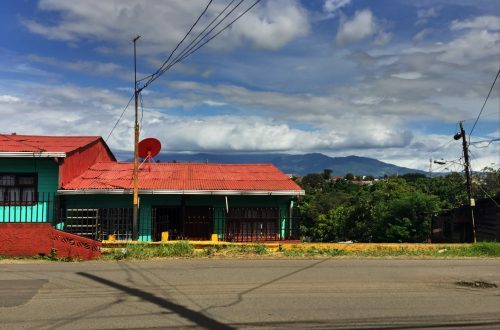 Mike stayed at Fifth Hostel, and while it wasn’t extravagant, it was great for the price. Walk Across the Bridges – As previously mentioned, Budapest is cut in half by the Danube River. Beautiful bridges connect both sides of the city. Although the bridges aren’t short, it’s worth the walk across to experience the city and the river from a different vantage point. If you only make it across one bridge in Budapest, walk across the Széchenyi Chain Bridge. It’s the most beautiful and the most centrally located. 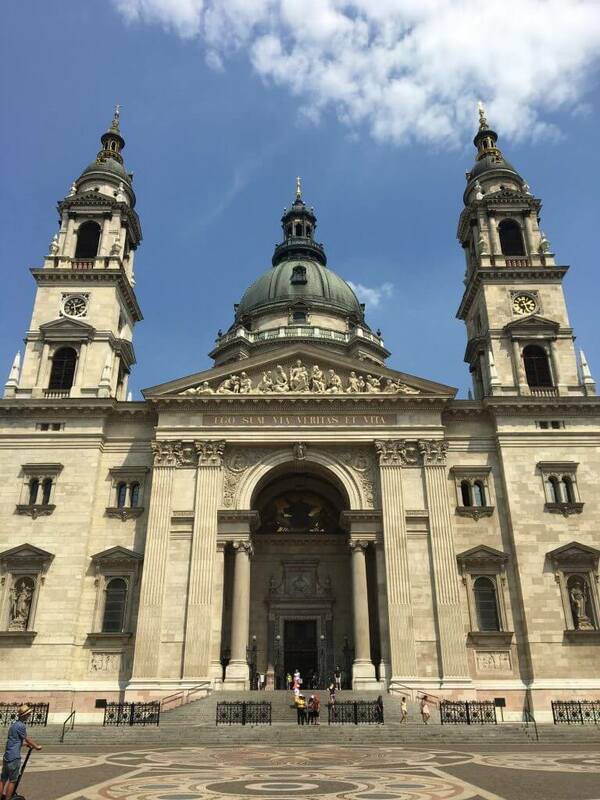 St. Stephen’s Basilica – The biggest church in Budapest is St. Stephen’s Basilica. If you’re traveling in Europe for a while you might get sick of going into numerous cathedrals and churches. However, this one is worth it, especially for the phenomenal rooftop views! 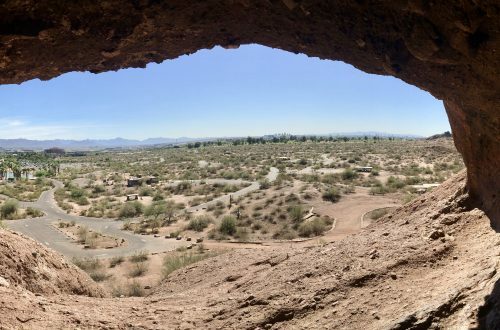 Obviously, the architecture is great on the inside too, but we’re suckers for incredible views. Baths – Budapest is famous for its thermal baths because of the geothermal activity under the city. This is one of the main reasons the Romans took over the city long ago. You can opt to go to any number of baths. They have plenty that are a mix between public and private, new and old. 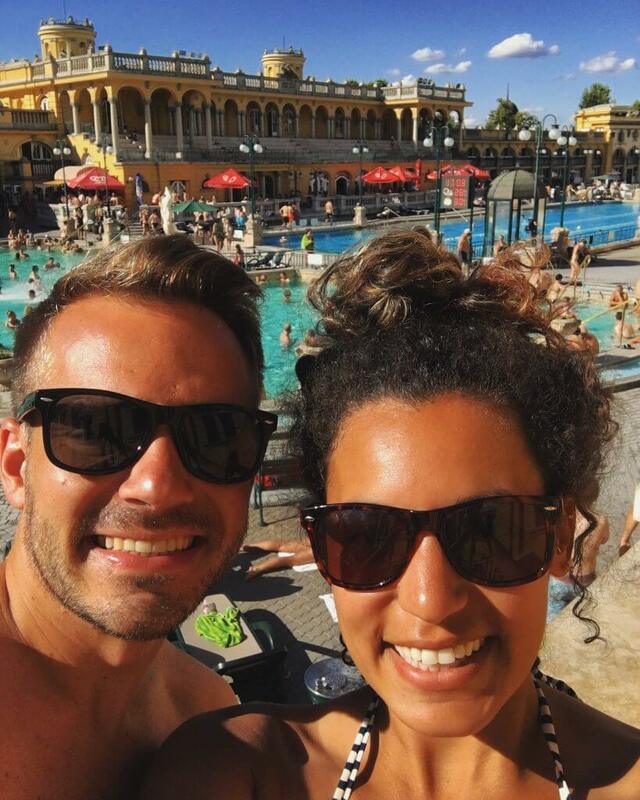 We chose to go to probably the most famous thermal baths in Budapest: the Széchenyi Thermal Baths. 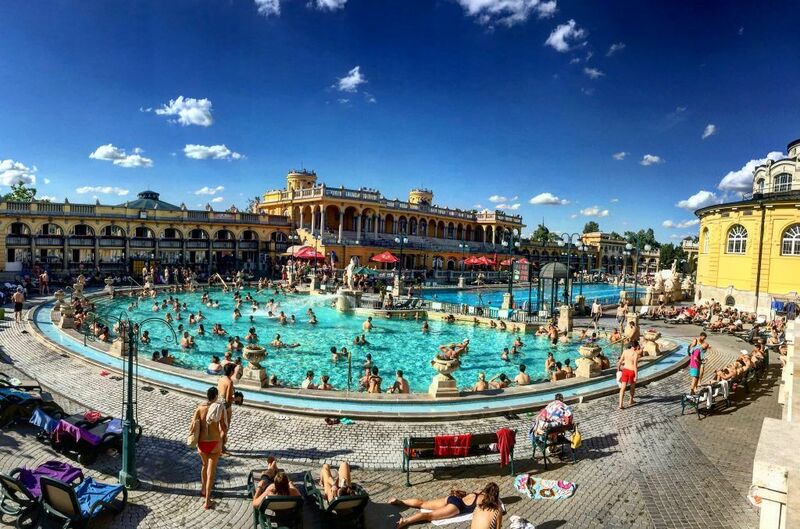 The Széchenyi Thermal Baths in City Park first opened in 1913 and have various baths with different temperatures that range from near freezing to hotter than a hot tub. They also have a mix of indoor and outdoor pools. There are different price options available depending on how long you want to stay there and if it’s a weekday or weekend. We got the day pass, which ran us about $20 (5,900 Ft). While we just visited for the day, the Széchenyi Thermal Baths turn into an all-out nightclub after hours, and the party keeps going until the sun comes up. 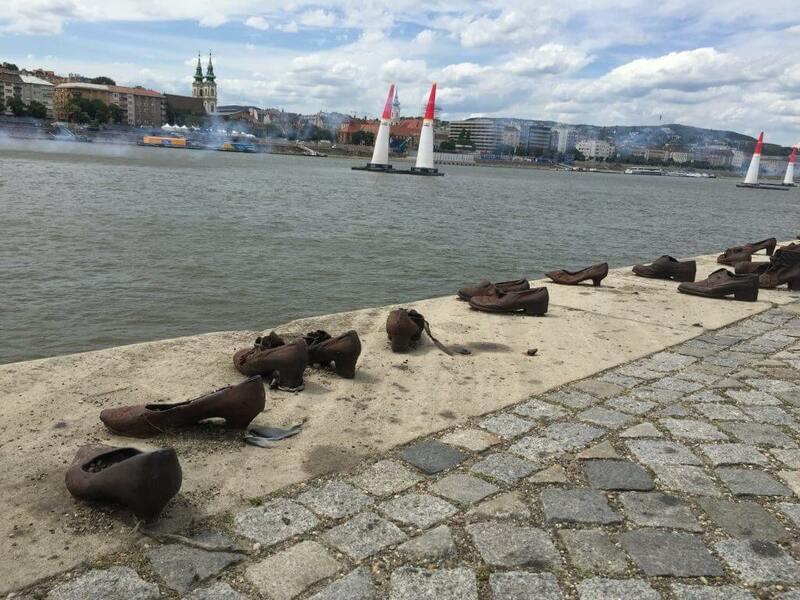 Shoes on the Danube Bank – The Shoes on the Danube Bank is a piece of public art that was created as a memorial to Jews who were murdered in Budapest during the Holocaust. Make sure to stop by this memorial and remember the many who lost their lives due to hatred, intolerance, and anti-semitism. It’s important to remember and learn from the past, so we don’t let it happen again. Hungarian Parliament Building – Hungary’s Parliament Building is an architectural wonder. It’s incredibly lavish and beautiful, even from just the outside. 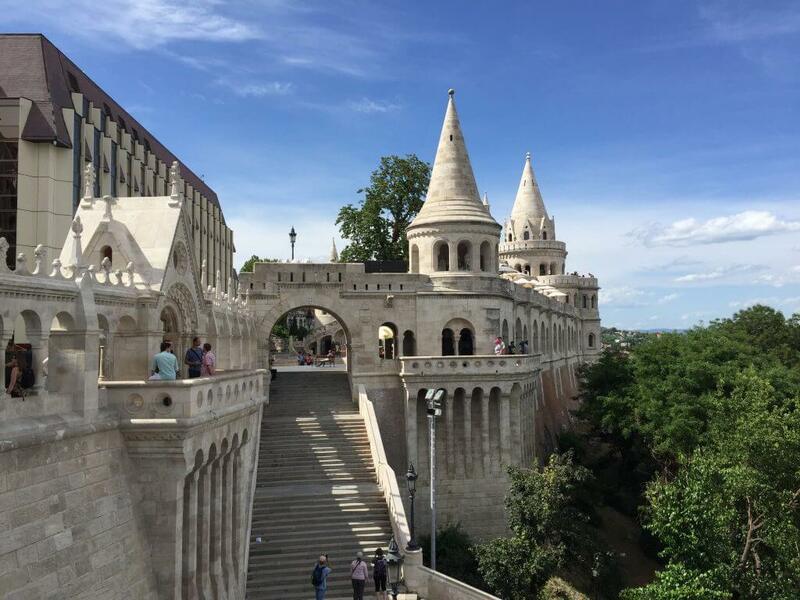 Fisherman’s Bastion – Once you venture to the Buda side of the Danube, you’ll see Fisherman’s Bastion, a 19th century fortress that overlooks the Danube River and the Pest side of present day Budapest. While none of what exists today was an actual fortress for Buda, there did, in fact, used to be a real castle here. Nowadays, it just serves as one of the most visited, and instagrammable, sites in Budapest because of its beautiful views over the city. Kádár Étkezde – As with any new place we travel to, we were interested in trying some traditional food. Kádár Étkezde is located in the Jewish Quarter of Budapest. 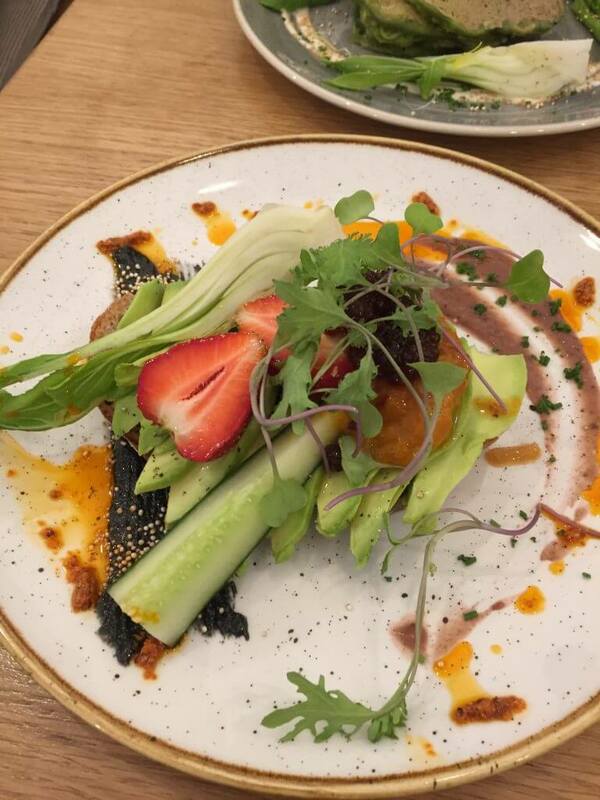 We took the waitress’ recommendations on what to order, and it was all delicious. This is a great place to try local cuisine and also very reasonably priced. 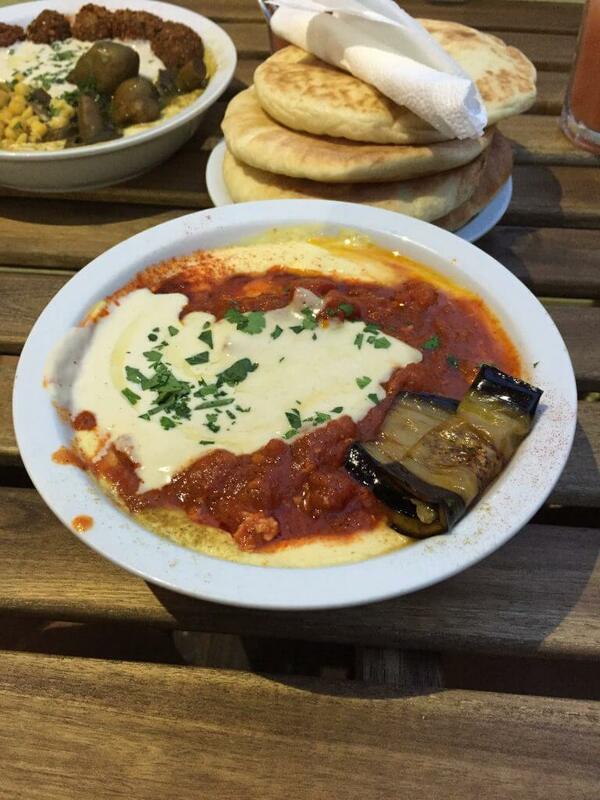 Hummus Bar – Also located in the Jewish Quarter of Budapest is Hummus Bar. It’s a chain-like restaurant, but it’s absolutely delicious. However, it should be known that we’re suckers for this type of food. 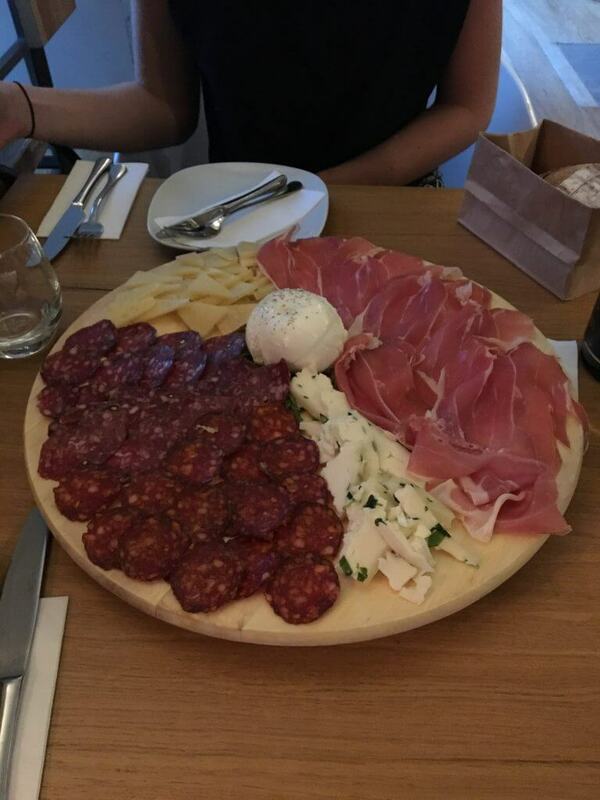 Divin Porcello – If you’re looking for a massive and delicious charcuterie board, look no further than Divin Porcello! Their other food is probably great too, but we only had the charcuterie board. The staff was very helpful with assisting us in our selection of cheeses and meats. 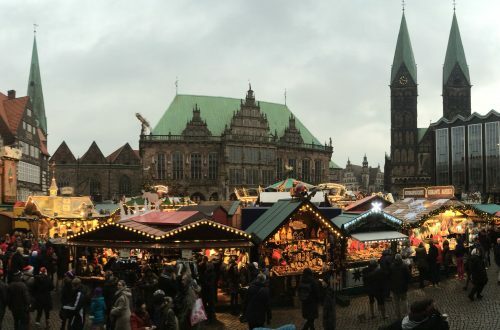 Food Trucks – There were lots of food trucks in a cute little area right next to Simple Gert ruin bar. If you’re looking for outdoor eating and lots of yummy food options all in one area, this open-air food truck plaza is the place to go to. Szimply Cafe – This is probably the best breakfast place in Budapest, or at least we’d be willing to put our money on it. 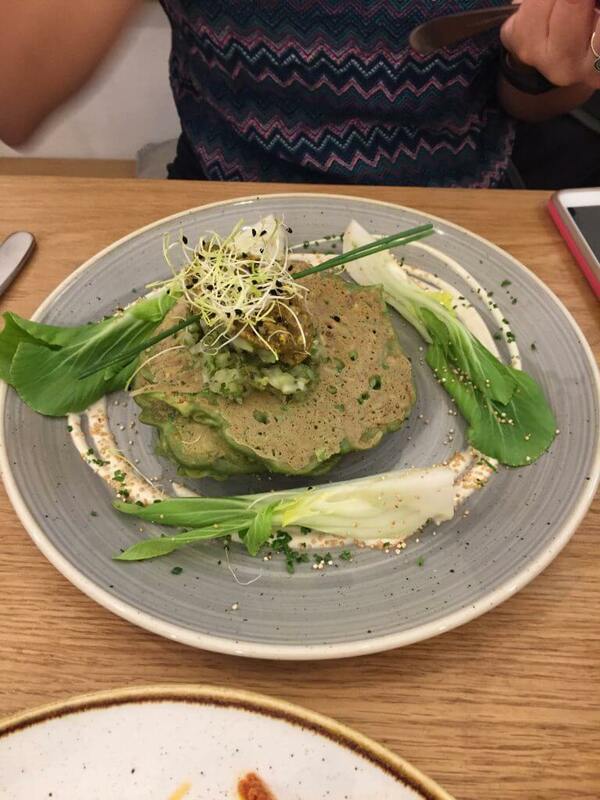 They had tons of great options, but we really loved the zucchini pancakes. 360 bar – 360 Bar is an awesome rooftop bar in Budapest. It has great views of city, outstanding drinks, and a rooftop DJ. We stopped in for a drink here on our way back from the Szchényi Thermal Baths and stayed for longer than expected because we liked it so much. The drinks are a bit pricier than other places in Budapest, but you’re paying for the atmosphere and the rooftop views. 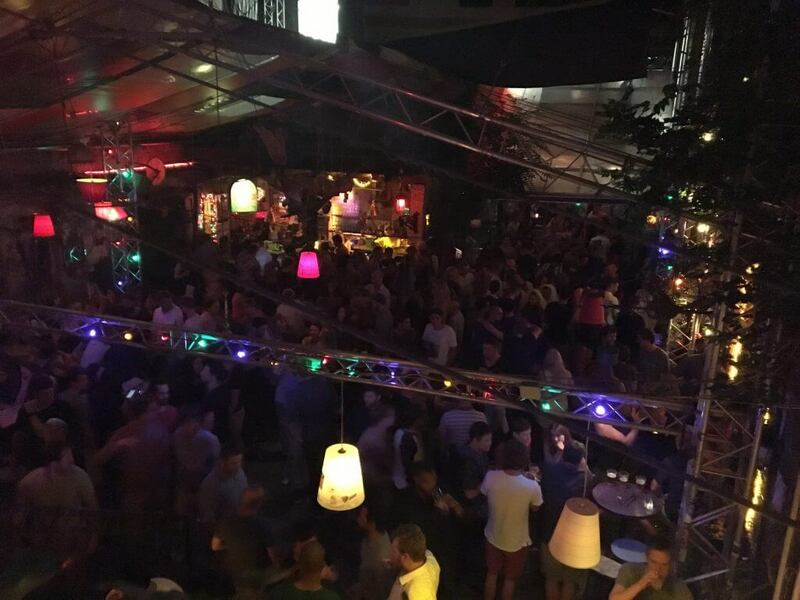 Szimpla Kert – Last on our list, but certainly not least, Szimpla Kert ruin bar. Budapest is famous for its ruin bars. They are an absolute must-do when visiting Budapest. We went here a couple times because we liked it so much! What are your thoughts on Budapest? 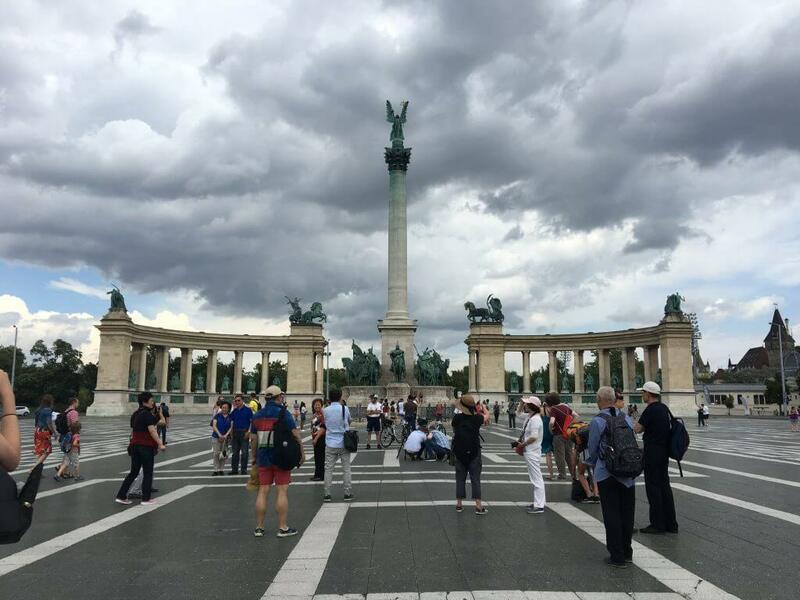 Do you have any recommendations for what to do in Budapest or the rest of Hungary?